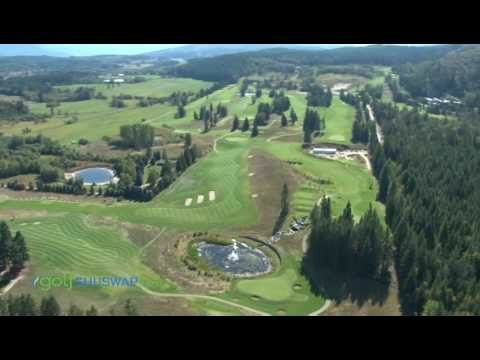 You have arrived at the Shuswap regions finest 18 hole public golf course, Hyde Mountain Golf Course, located in Sicamous, British Columbia. Conveniently located halfway between Vancouver and Calgary if traveling the Number 1 Highway or only one hour and forty-five minutes driving time north on highway 97 from the Kelowna Airport. Designed by Les Furber, Hyde Mountain golf is an 18 hole championship course that features dramatic elevation changes and phenomenal lake views and cliff side golf shots. Most courses have their feature hole but Hyde Mountain is unique. We have several feature holes but Geronimo, our number 4 hole has an elevation drop from the tee of some 140 feet to the landing area. It offers a very challenging tee shot but do not forget to bring your camera as the panoramic view from this tee is spectacular. For a unique experience we a have special service for marine vacationers. 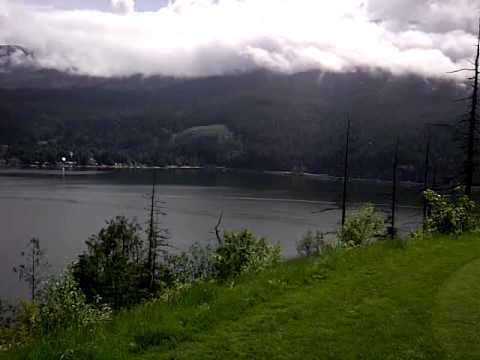 Hyde Mountain offers a complementary shuttle service from our dock up to our Loggers Restaurant and Lounge. This fully licensed facility comes complete with patio that overlooks beautiful Mara Lake. Hyde Mountain offers full practice facilities. Included is a full length driving range as well as a putting and chipping green. Our driving features a grass tee area as well as an artificial turf area with a multitude of targets throughout the fairway. Whether your purpose is to warm up before your round or you wish to work on your game improvement we have the facilities for you. Enjoy a Lunch or Dinner with our spectacular view of the lake and mountains. Complimentary dockside shuttle service from our 24 slip marina up to our Clubhouse and Restaurant. Overnight camping available, No hook ups, but picnic tables and fire pits are available. Wow - The views are fantastic, the weather was great, played a good game. I will be back in 2009.